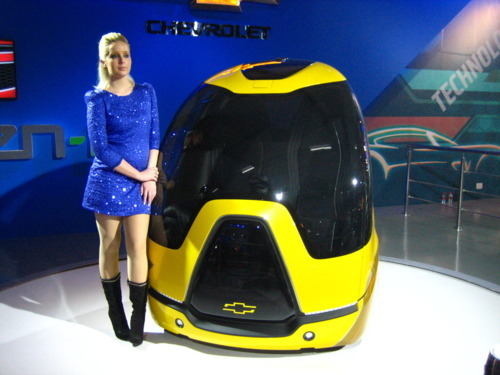 General Motors’ really small EN-V electric vehicle, was actually designed for the Shanghai World Expo 2010. 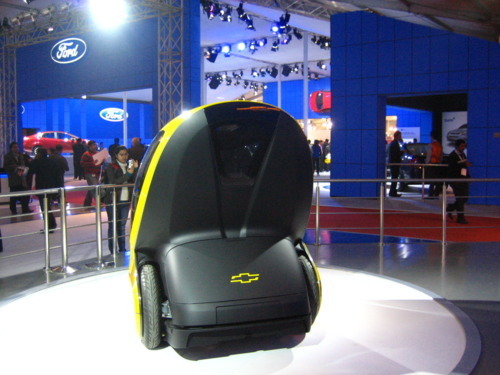 A collaboration with Segway & Shanghai Auto, the Chevrolet EN-V concept car, is expected to be launched in selected “megacities” per pilot programs globally. Thanks for conscious thought, our designer and company should give preference the electric car .This support the healthy environment and reduce the use of fuel or air pollution.